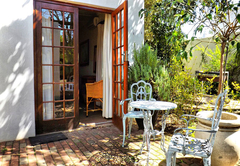 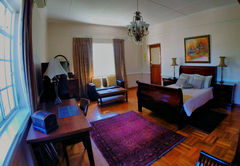 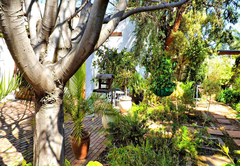 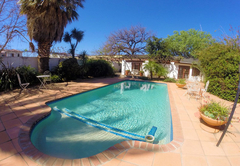 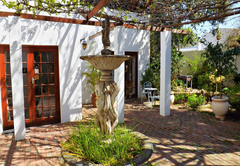 Church Street Lodge is a highly recommended Worcester hotel providing accommodation in 20 guest rooms for tourists visiting the Breede River Valley region. 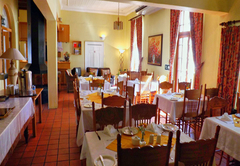 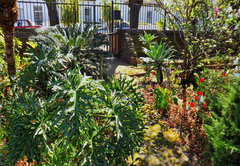 Church Street Lodge is situated in Worcester’s historical Church Street, undoubtedly one of the most picturesque parts of town and within walking distance from the town center. 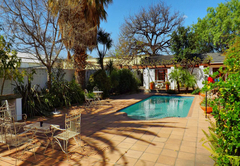 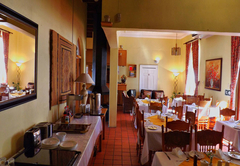 The lodge offers warm hospitality with a roman swimming pool, fountains, quaint patios and a beautiful tranquil garden. 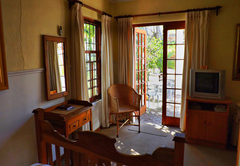 The lodge is well secure with burglar proofing and security gates, therefore vehicles as well as guests can relax in a secure environment. 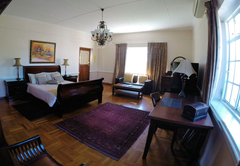 Accommodation offered comprises of twenty- one double bedrooms, all with en-suite and private entrances. 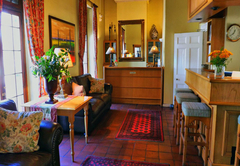 Each bedroom is individually furnished with antiques, Victorian tube and lovely colour schemes. 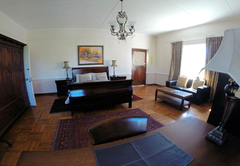 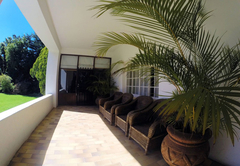 All rooms contain air conditioners, television with M-Net, fridges and coffee facilities. 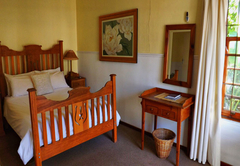 Self catering units are also available. 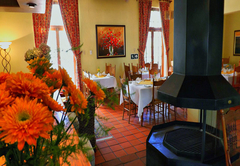 Enjoy your dinner in any of the many restaurants and steakhouses all situated within easy walking distance of the Lodge, providing for a wide variety of cuisine sure to please even the most discerning diner. 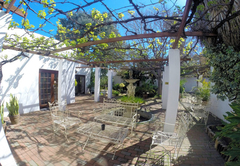 Use the Church Street Lodge as your base when you discovered all the attraction of Worcester and the wine lands of the Breede River Valley. 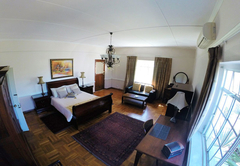 A Gary Player designed golf course, it compares to the best in the country, offering a challenging layout and large greens with a well equipped, modern clubhouse. 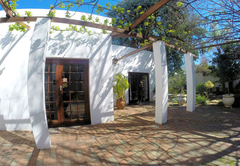 The valley is the largest wine-producing district in the country with more than 25 cellars on the Worcester Wine Route. 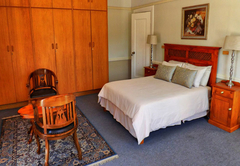 A modern Health and Fitness Club is just a few blocks down the road from the Lodge. 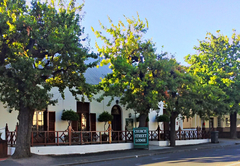 KWV Brandy Cellar, the largest brandy distillery of its kind in the world is also in Church Street and within walking distance from the Lodge. 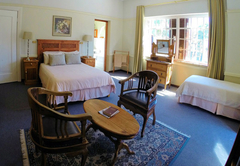 Tours are conducted Monday to Saturday. 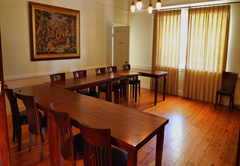 Response timeChurch Street Lodge typically responds to requests in 5-10 minutes.